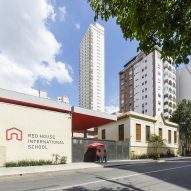 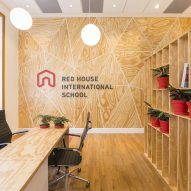 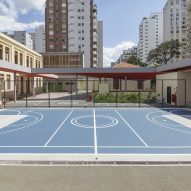 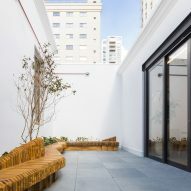 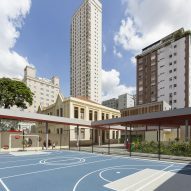 Studio Dlux renovated the historic, cream-coloured building from 1874, as well as a separate auditorium from the 1950s and added a new, three-storey structure for the Red House International School in São Paulo's affluent Higienópolis neighbourhood. 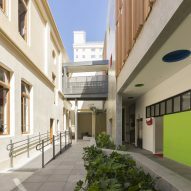 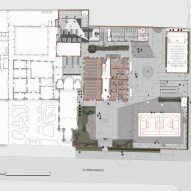 "The main building and the theatre are protected by historical heritage, so we recovered it and designed all the interiors for the school," said Studio Dlux. 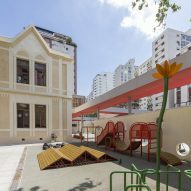 "The new and the old are part of the pedagogic method bringing to the kids the differences of the spaces as they grow up and learn about it," said the studio. 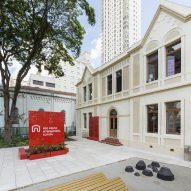 "The young ones study in the old building and the older ones in the new one." 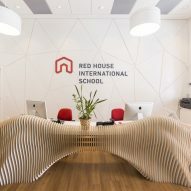 On the ground floor of the historic building is a reception area and offices, with a hallway dividing off two classrooms. 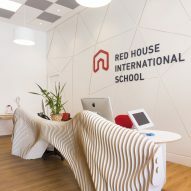 An existing wood staircase leads to five large classrooms upstairs. 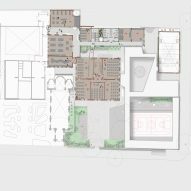 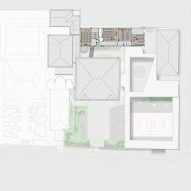 Also in the structure is a spacious dining hall, library and two laboratories. 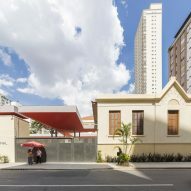 Nearby is an existing auditorium whose facade matches the historic seminary, but with updated interiors featuring grey and red upholstered chairs. 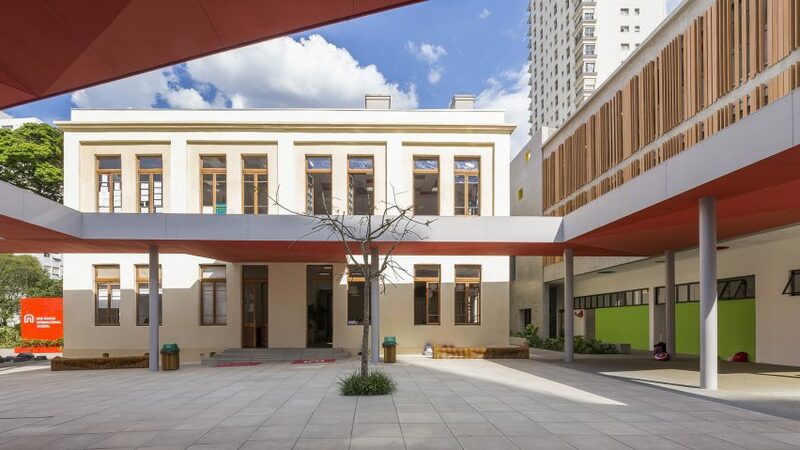 Rounding out the adaptive reuse project is a new, two-storey structure made of concrete with recycled plastic slats that look like wood. 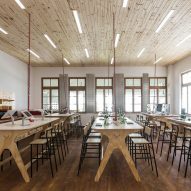 The entire school is outfitted with hundreds of custom-made plywood furnishings made via digital fabrication, and some by local furniture platform Opendesk. 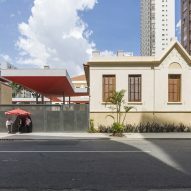 Photography is by Leo Giantomasi.